To protect his name and the purity of his teachings Sri Kaleshwar founded the Kaleshwar Organization as an umbrella for spreading the ancient knowledge as taught by him in Europe. You will find a list of Kaleshwar teachers and teaching event information on the following country websites in their native languages. The knowledge systems base on ancient palm leaf books, some of them even 7000 years old: meditation processes and techniques, sacred formulars to connect you with your soul and awake abilities. 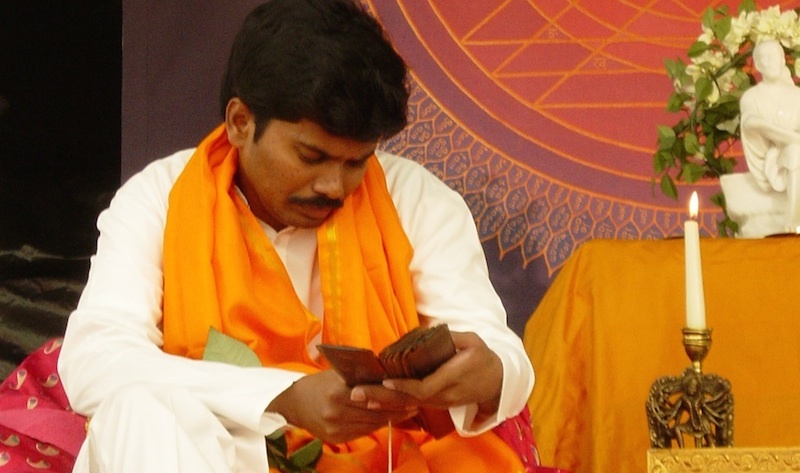 The ancient knowledge Sri Kaleshwar revealed is being taught by certified teachers in Europe. They teach and accompany you through your individual spiritual processes so you can connect with the purity of your soul and empower you to be who you really are. Sri Kaleshwar trained many healers who can support you in your individual healing process. Inspired by the humanitarian works of our Master Sri Kaleshwar we continue this work now in Europe to help our local communities and society here.